Watercolourist, born in London, son of the art dealer Arthur Ackermann. After initial education in Eastbourne, he studied art at Heatherley’s School of Art, Westminster School of Art and the Royal Academy Schools, where he was a distinguished student. 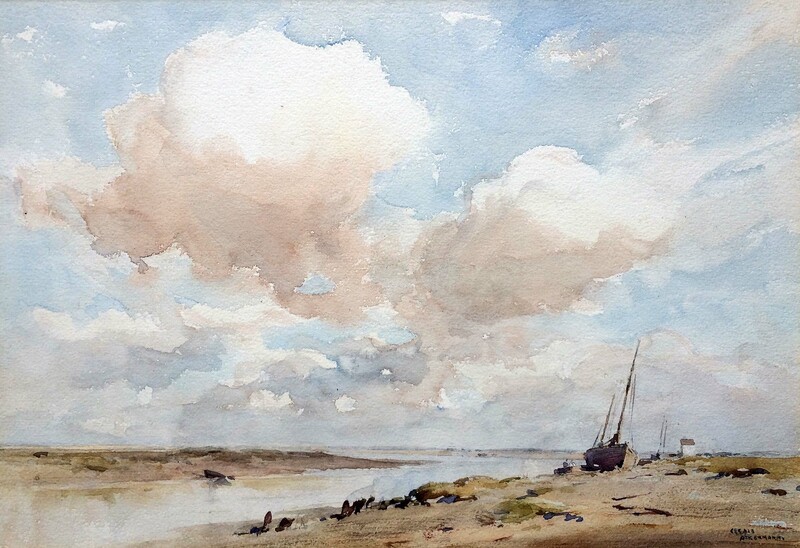 Ackermann painted widely in Britain, having a special affection for Sussex and Norfolk, where he settled at Blakeney. During his successful artistic career, he favoured big brushes, crisp detail, liquid washes, strong colours and careful delineation of architectural subjects and other features of his work. 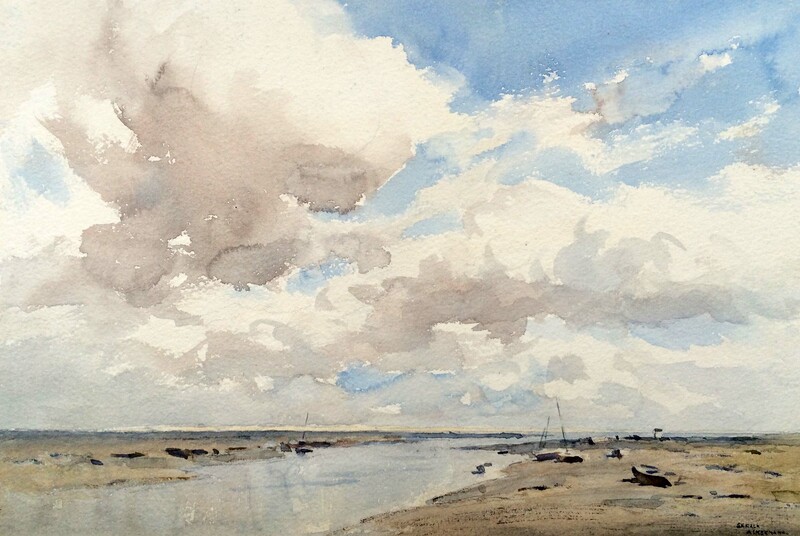 He had one man shows at The Fine Art Society and Leicester Galleries and exhibited at The Royal Academy, Walker Galleries, The Royal Institute of Painters in Watercolour and The Royal Society of British Artists. Enquire about "Gerald Ackermann (1876-1960)"